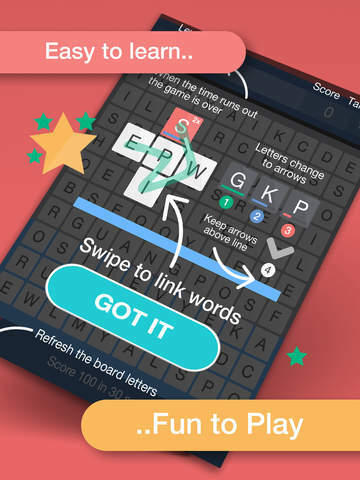 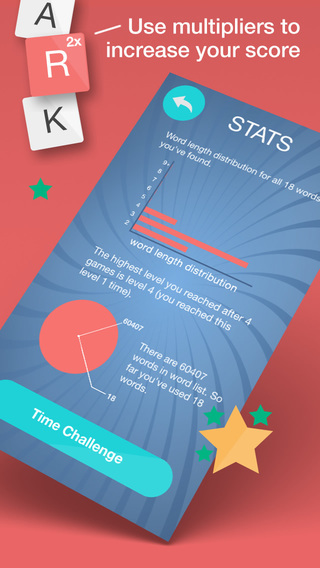 Swipe to link words and bonus letters to score points before time runs out! 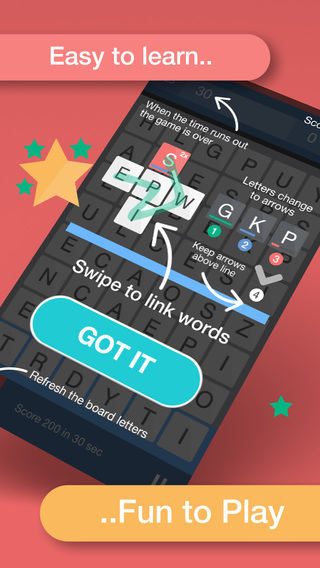 New letters drop in as you add words and convert to arrows that can't drop below the blue line or its game over! 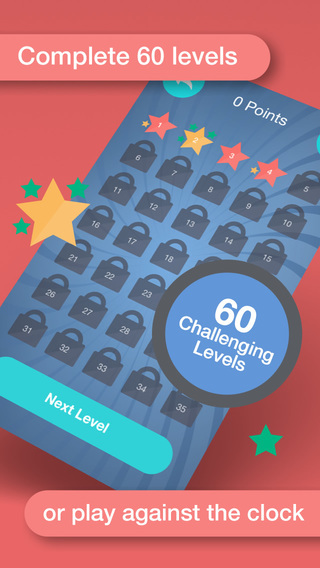 Test your skill and reaction time in this fast paced game of skill with 60 levels to complete or play against the clock to see the highest level you can achieve before the time runs out. 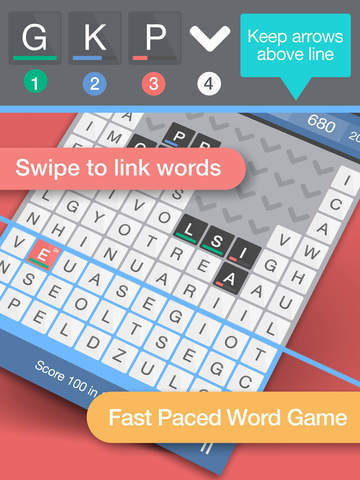 Two clever games in one to keep your brain challenged for hours!